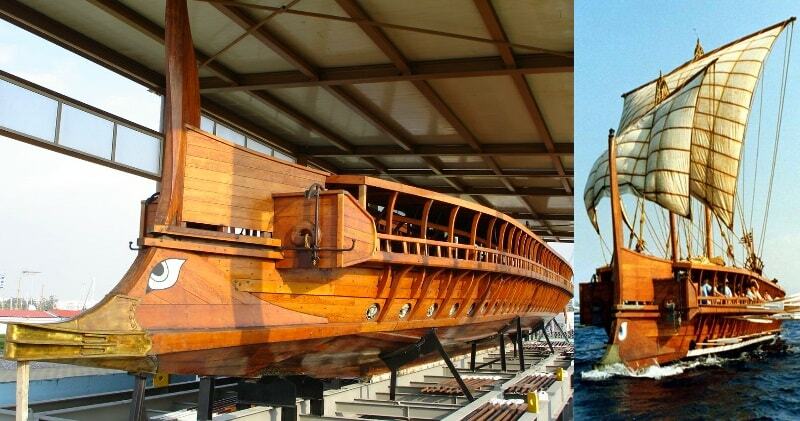 Construction works for the trireme of ‘OLYMPIAS’ began in Greece in May 1985 and was finished in July 1987. 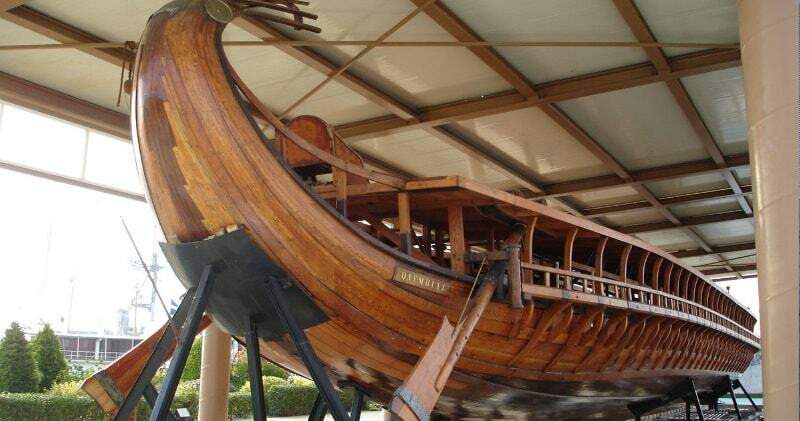 Initially, the trireme was used as part of an experimental archeological project. In order for scientists to determine the sailing characteristics (speed, etc. ) and her strength. Finally, battle tactics and living conditions inside the vessel were as well examined. The trireme was launched in May 14 2004 and remained in Elefsis Shipyards for 10 days for waterproof test. The Hellenic Navy equipped the trireme and performed stability tests. Rather than exerting constant tension like a natural fibre rope, the steel cables tension varied as the hull bent on the waves. The results that the trireme achieved with an amateur crew proves that ancient historians like Thucydides were not overstating the capabilities of triremes.